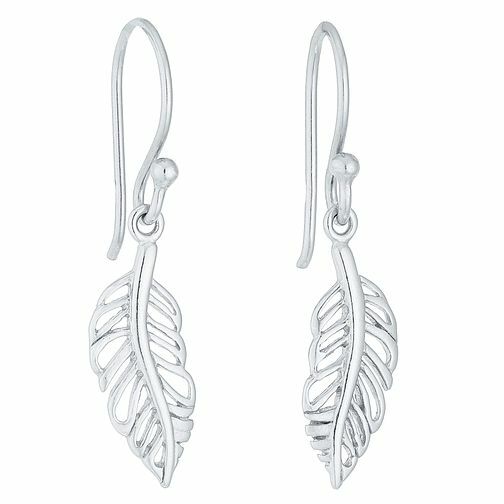 Inspired by the beauty of nature, these delicate sterling silver leaf drop earrings are perfect for adding a botanical vibe to your outfit. A simply stylish and versatile accessory. Sterling Silver Leaf Drop Earrings is rated 5.0 out of 5 by 2. Rated 5 out of 5 by Anonymous from Lovely item Pretty earrings very lightweight and easy as no butterfly fasteners.